You don't mess with Douglas Dokken. 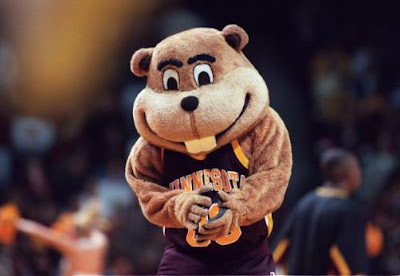 Somebody should have said something about it to Goldy Gopher, The University of Minnesota mascot who got punched in the face by Dokken at a men’s gymnastics meet Saturday night. "During the meet, the University of Minnesota mascot sat behind Douglas Dokken, 60, and started “messing with him,” witness Barry Colthorpe said. Goldy tapped Dokken on the shoulder and ruffled his hair. Colthorpe said Dokken was ignoring Goldy’s antics, but within a couple of minutes, he snapped, turned around and punched Goldy in the face." Ok, seriously now, who punches THIS in the face? Via Star Tribune and MN Daily. Want to know who punched Goldy?